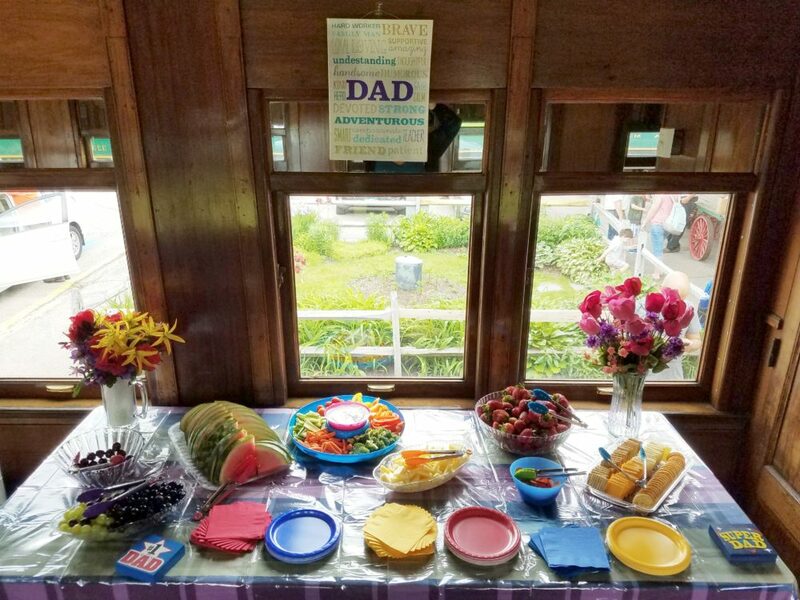 First Class passengers can partake of complimentary appetizers on board our First Class Parlor Car, the Gertrude Emma, and all Dads enjoy a free cup of coffee & donut in Conway. All Valley Trains this weekend go to Conway with departures at 11:30, 1:30 and 3:30. Dads can test their skills at operating small construction equipment performing not so ordinary tasks. Dads’ operation of this equipment will be judged by how careful and accurate they can be in performing the tasks within the time allotted. A winner will be announced on the train back to Conway with a special trophy to be presented back at the station. This is a fun event the whole family will enjoy! Please note: For a really special treat, surprise dad with lunch on our dining car Chororua. Lunch is served on both the 11:30 and 1:30 departures. For dining car menus and pricing, please click here.